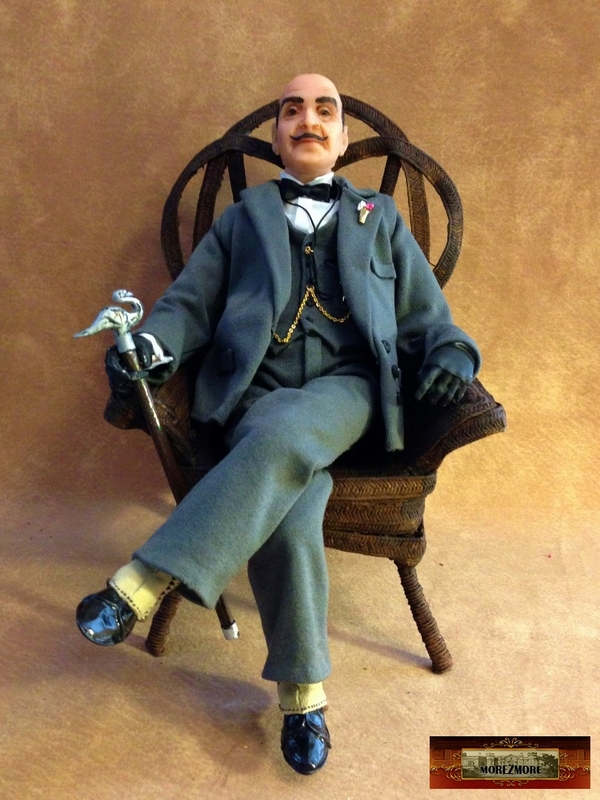 Monsieur Poirot is an experimental stop-motion style steel ball-jointed doll – the first Humanly Posable Doll. If you just arrived and landed here, you can see the detailed description of the parts and tools here. 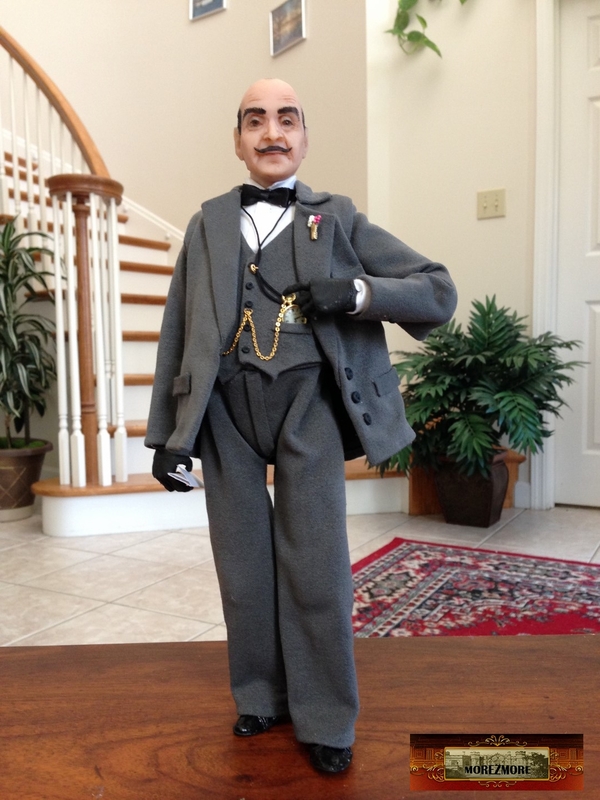 I will write a step-by-step process description how it is constructed – on the next doll which I will start after I complete Monsieur Poirot. 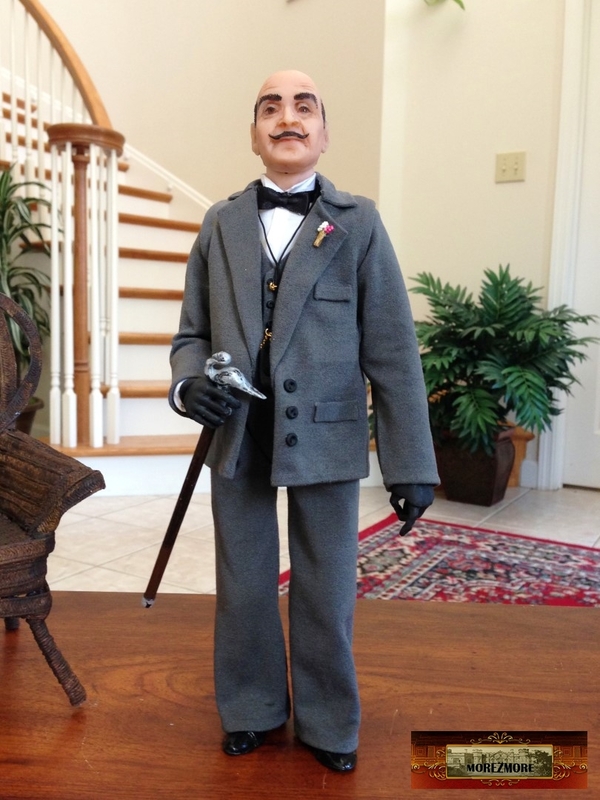 At that new doll post I will also include the links to the Humanly Posable Armature parts at Morezmore. 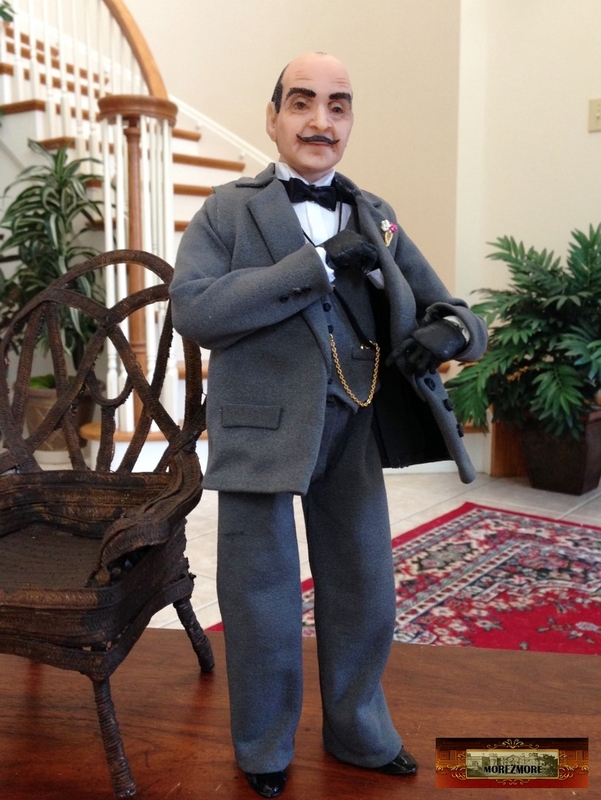 I will be glad to see people joining me on this project (using stop motion armature for OOAK doll). A, Captain Hastings! So nice of you to come on such a short notice. 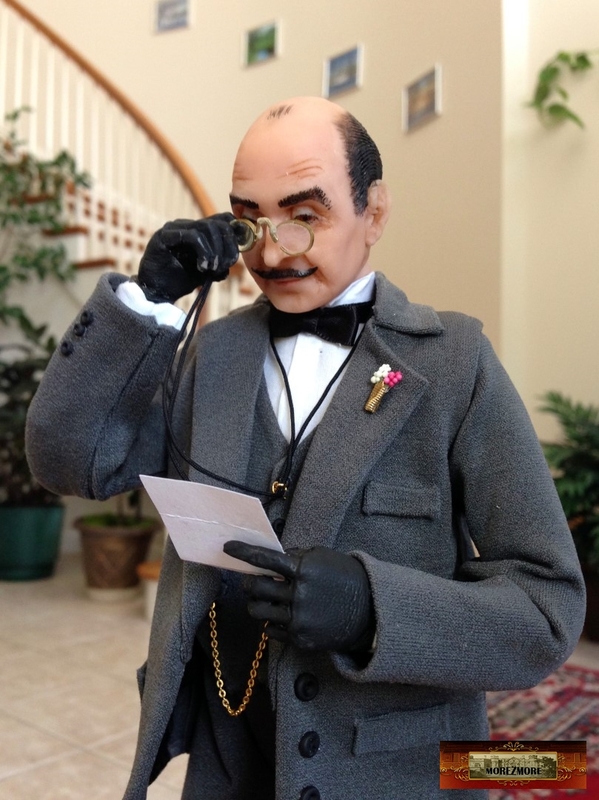 You see, zis morning I received zis letter. A lady is asking to meet us. I sent her a reply – we will meet her today at 2 o’clock. The story she is describing in her letter is quite incredible. We still have a few minutes – enough time to exercise our little grey cells. Very well, time to go, Hastings! 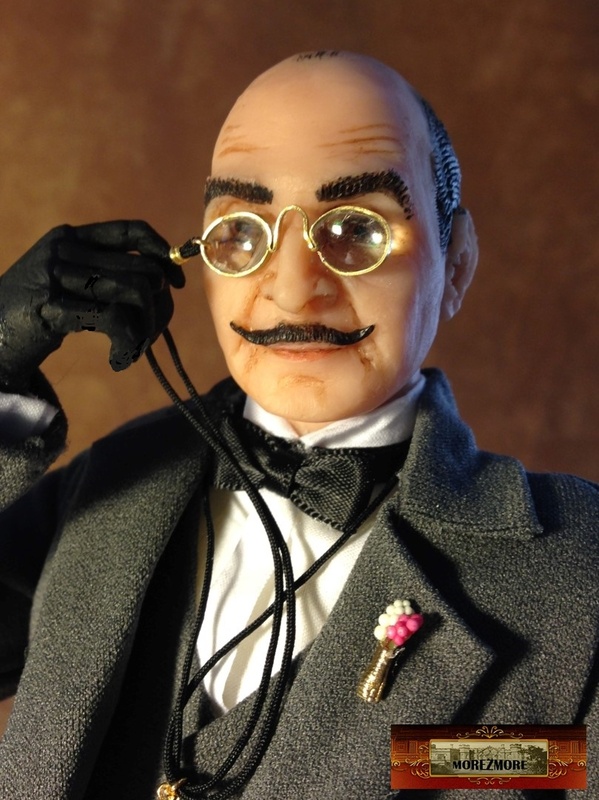 Monsieur Poirot’s walking cane, leather gloves and pince-nez. 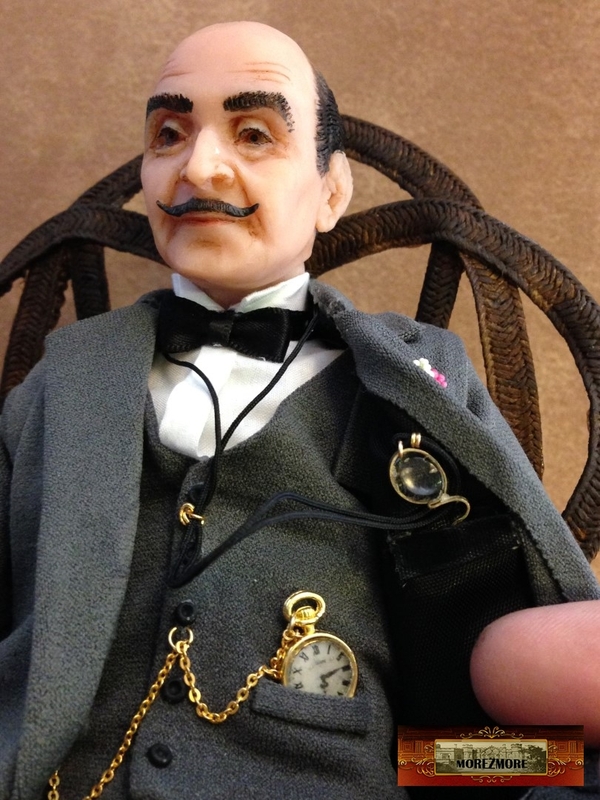 Pocket watch, pince-nez pocket and leather spats. 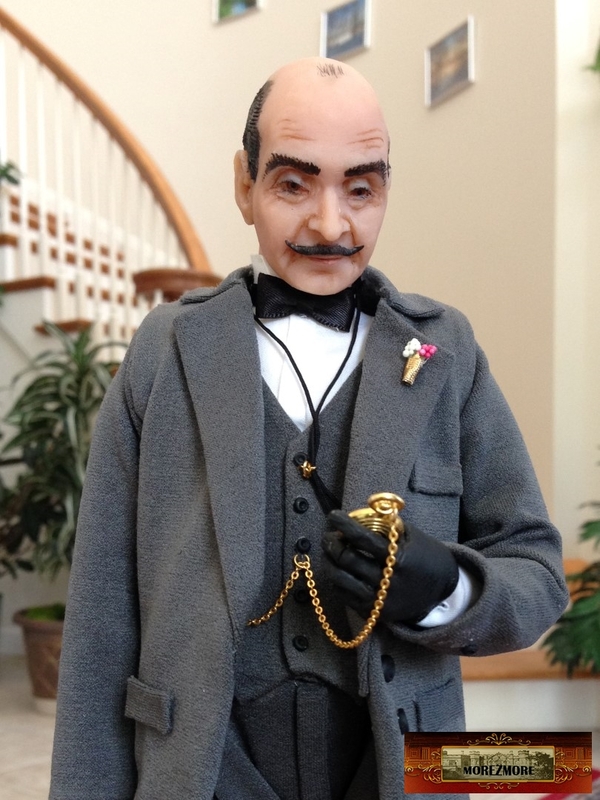 I cannot believe how accurate and marvelous this Poirot is.. You fitted him perfectly as he would wish to be dressed.. You are a wonder Natasha.. 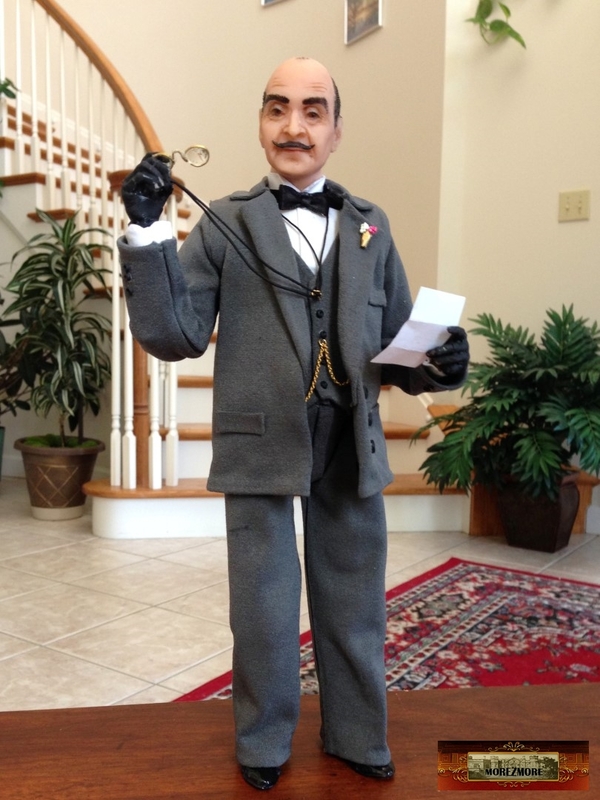 I just don’t know how you made the gloves and cane and prez-nez.. Most people just use clay for the gloves but yours is leather and the shoes and spats are awesome.. Please keep this one for your own as it is like a template for any others that you make.. I really tried with all my might. 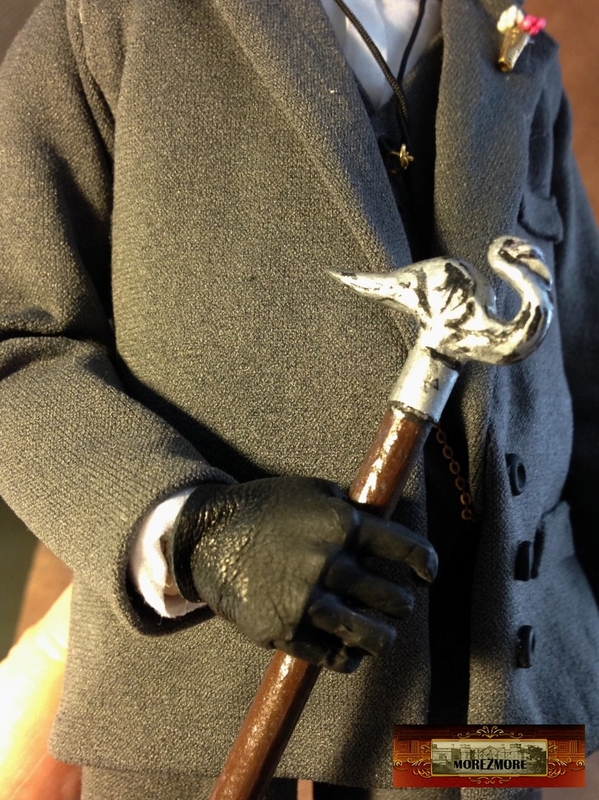 Gloves are partially leather (top), painted on the palm. Pince-nez is made out of brass strip with epoxy lenses (the kind for jewelry, trimmed). HARD to make, but worth it. Thank you! Oh my goodness me. You are brilliant and so is he! This set of photos, using your clever new armature, are so realistic and lifelike, that it’s hard to realise he is not alive. Thank you, Margot! You are inspiring me – I really appreciate your messages! Thank you very much! You’ve truly outdone yourself with this piece! Beautiful work! He is fantastic, a true masterpiece. I love everything about him. 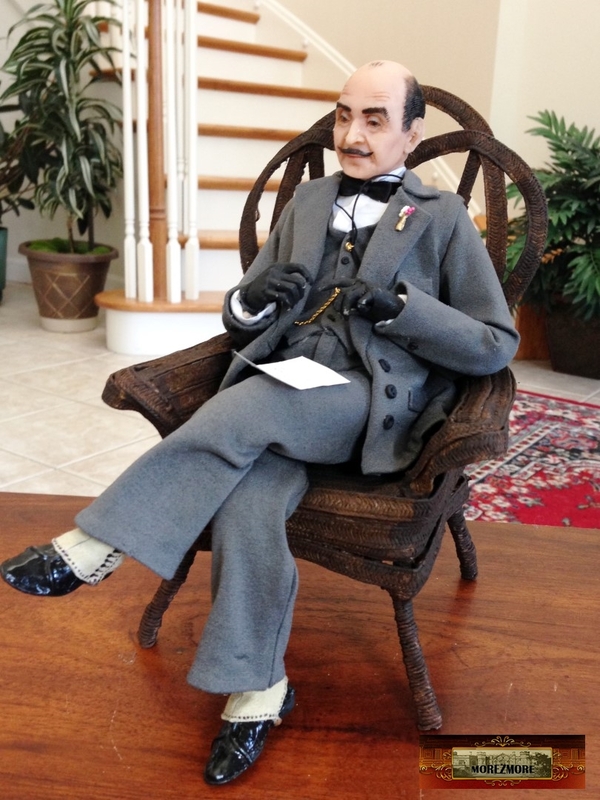 All the little details that make him Poirot, one of my favourite characters, after Miss Marple. 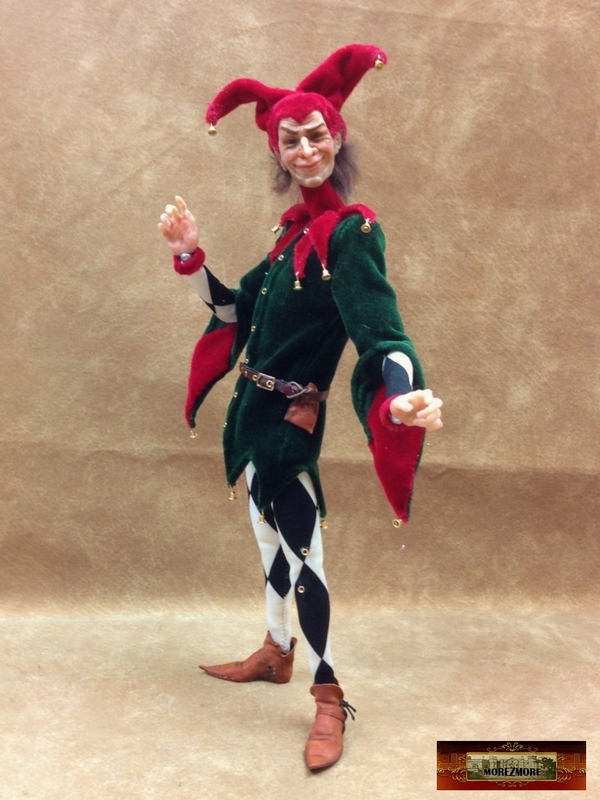 You bave truly outdone yourself with him Natasha, I look forward to your tutorial on making the next armature. Thank you very much, Kaye! 🙂 Glad I finished Poirot, can’t wait to start the new one – with the description for real. Thank you, Kim, starting now – deciding on the character. So I’m gonna follow your work and buy I lot of stuff from your ebay shop, I can guaranty that !!! Thank you, Jayden! 🙂 Glad to hear it! Hi, Nicolas, thank you so much for your interest. 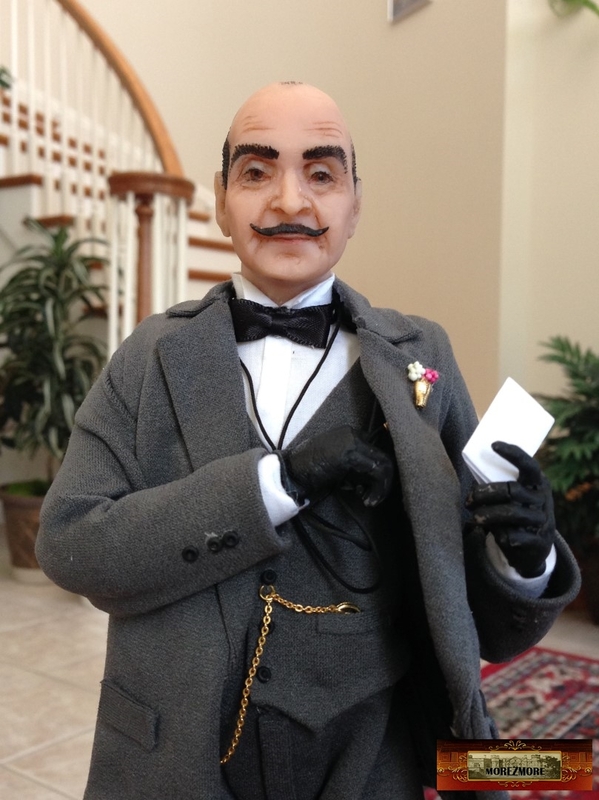 I am preparing Poirot for auction – in about 1 week. I will send you a message to the auction. Thank you! I am surprised you are going to sell him. I thought since he was your very first you would keep him..
Oh sorry. I didn’t know.. Wish I could buy him too, but I have bills too. Darn.